On Thursday, August 14th, SPIRE members had the opportunity to tour McCarthy Cook’s China Basin development and learnabout the Giants’ plans for Mission Rock. Mike Freeman and Richard Hayes of McCarthy Cook shared a 30-minute presentation about their project and the history of the China Basin area and Mission Bay. The two building campus contains a total of 930,000 SF in the six-story Wharfside building and the five-story Berry Building. The Wharfside Building was built in 1922 as a warehouse to support shipping operations of the port. Over time the buildings converted to traditional office uses. From the 1960’s through the 1980’s the area languished as the Mission Bay area declined in shipping prominence and was overlooked as an attractive development area. This changed in the late 1990’s with the construction of the San Francisco Giants’ new ballpark and The University of California San Francisco committing to building a campus and biotechnology hub in the area. McCarthy Cook has managed the property since 1997, when it acquired the buildings with partners. Being a desirable area to live, work, and play the China Basin property has seen tremendous demand for tenants and is 99% occupied. Following the presentation, the SPIRE group toured the tenant spaces of Western Union Digital Ventures, UCSF research labs, and the headquarters of Dropbox. Dropbox has several suites and floors at their headquarters and we were able to tour their main suite, which is a total of 85,000 SF on one continuous floor. This floor includes workstations, a karaoke bar, conference rooms, gaming areas, and an impressive gourmet kitchen and restaurant. Dropbox serves three meals a day to their employees and the chef has never repeated a meal. The SPIRE members were impressed with the openness of the work area and the abundance of natural light. Additionally, the design encourages interactivity and provides many areas to collaborate. retail. 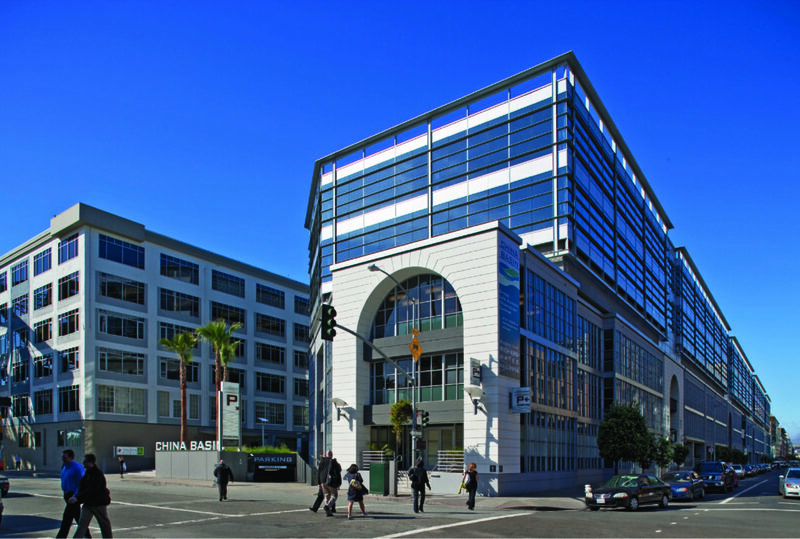 The Mission Rock development site has been owned by the same ownership group as the Giants and includes many longtime San Francisco residents. The owners are motivated to build a sustainable development that enhances the local community and the City of San Francisco. We hope to see more SPIRE members at an upcoming event in Northern California!